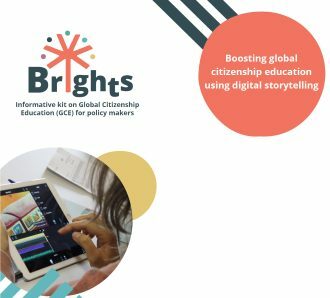 This informative kit aims to equip policy makers with all the necessary knowledge about the role that Global Citizenship Education (GCE) can play in contemporary society. This document will summarize GCE, its principles, capabilities and advantages and will provide best cases regarding its application. The goal is to convince policy makers into adopting GCE in the training and education curricula. Furthermore, it presents the Digital Storytelling (DS) method and its benefits as a tool to teach GCE more effectively.